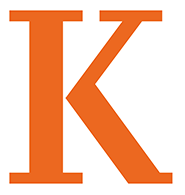 Distinguished Achievement Award for graduates of Kalamazoo College whose acts and deeds, both personal and professional, have brought honor to our alma mater. Distinguished Service Award for people who have made exceptional volunteer contributions to the College. Athletic Hall of Fame honors those who have attained distinction at Kalamazoo College as athletes, coaches, or individuals closely associated with athletics. Emeriti Club Citation of Merit for alumni of the College who attended 50 or more years ago and have outstanding history of involvement and support of the College. Young Alumni Award for graduates of Kalamazoo College within 15 years of their graduation year, on the basis of outstanding achievement, personal growth in career or outstanding professional, civic, and cultural service in ways that positively reflect on Kalamazoo College. Required for Distinguished Service, Weimer K. Hicks, and Young Alumni Awards only. Required for Distinguished Achievement Award nomination. May also be applicable to Distinguished Service, Weimer K. Hicks, and Young Alumni Awards. Required for Distinguished Achievement Award nomination only.